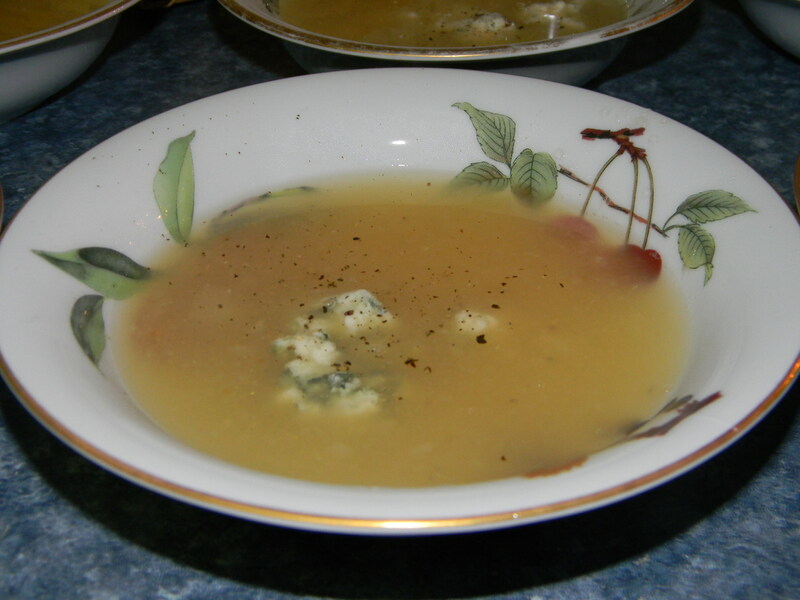 When we first heard of the idea for pear soup, one of us was skeptical: “warm fruit soup?” It does sound kind of funny- fruit gets made into jelly or maybe into a fall salad, but turned into a soup? Believe it or not, warm fruit soup was delicious- a great new take on pears and fall fruit that hit the spot right before a delicious meal. We got the idea from a site called Tasting Table– a service that sends daily emails about food, restaurants, wine, etc., based on your location. No one needs more emails to sort through in their inbox, but even though it usually sends about two a day, we recommend it for great articles, recipes, and tips on making good food better. Also- we’ve been talking a lot about pears recently, given the incredible amount we got from the pear tree at Sweet Springs. If you’ve come into a fortune worth of pears and want something new to do with them- make soup. Warm fruit soup. Great job! This reminds me of great home-made cider. I eat it like soup sometimes. Thanks for the post.